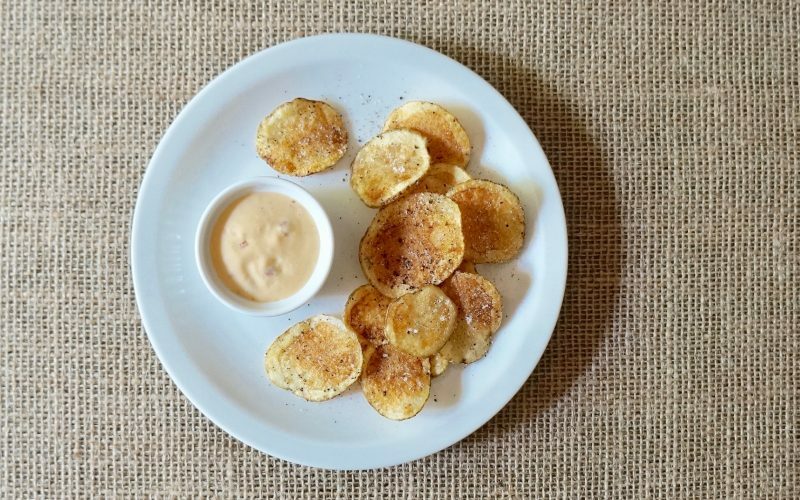 Homemade potato chips are a simple item to fry but there are a few important factors that must be addressed in order to make a stellar batch. 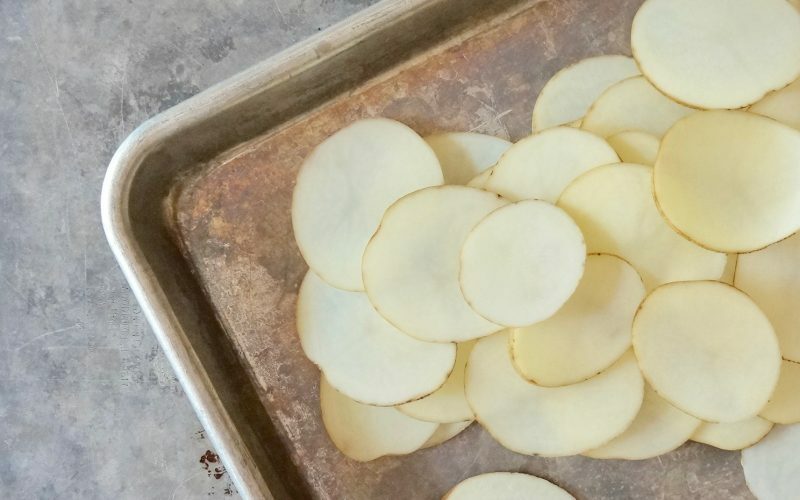 Cut the potatoes to an even thickness using a mandoline in order to produce chips that will have crispiness throughout, otherwise the edges will become too brown before the centers develop a crunch. Drop the slices into cold water during the slicing process to prevent discoloration. The starch will need to be removed from them as well so the addition of kosher salt & a stand time draw it out then it can be rinsed away before frying. 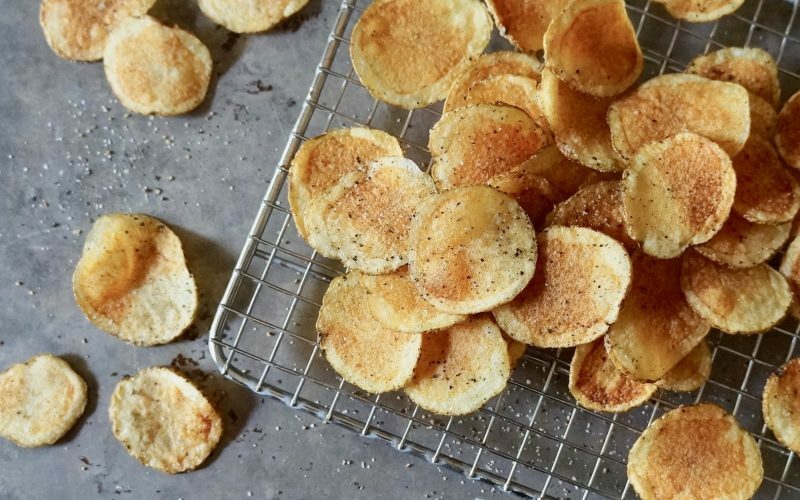 Learn how to make an irresistible batch of potato chips to serve for family meals or when entertaining. 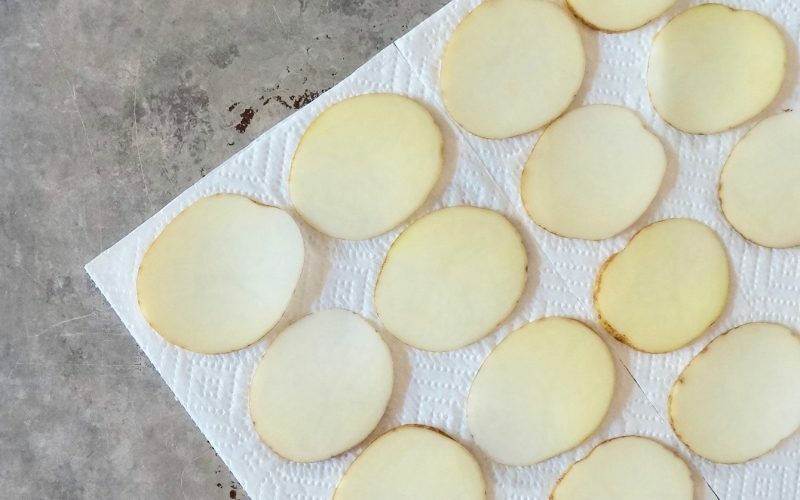 Slice the potatoes to an even 1/8-inch thickness using a mandoline. Place the potato slices in a Medium bowl filled halfway with water while prepping them. Sprinkle 4 tablespoons of salt over the potatoes & stir the mixture well being certain they are submerged. 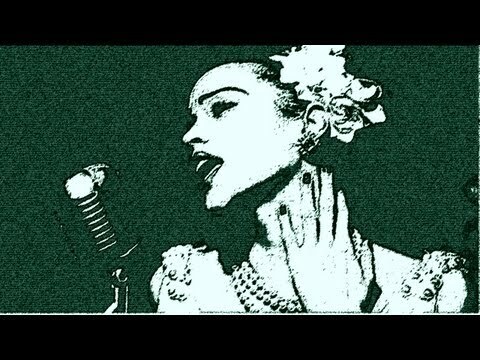 Chill 2 hours. Pour the oil to a depth of 1 inch in a 3 1/2 quart sauce pan & heat to 350 degrees. Meanwhile, drain the potato slices & rinse under cool water. 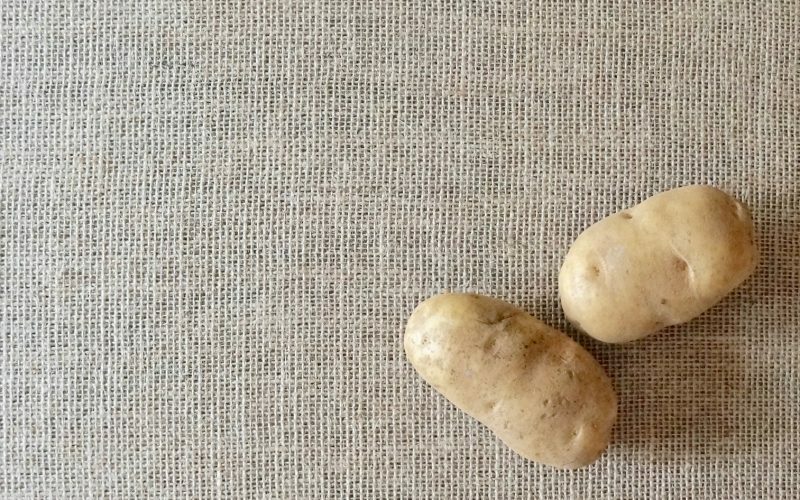 Fill a clean bowl with water, add the potatoes then drain again. Place the slices over paper towels. Remove the excess moisture by topping with additional paper towels. Gently blot them dry. Drop the potatoes into the oil, in batches, being certain not to overcrowd the pan & tousle the potatoes during frying with a spider so they cook evenly. Cook 2 to 3 minutes or until evenly golden brown. 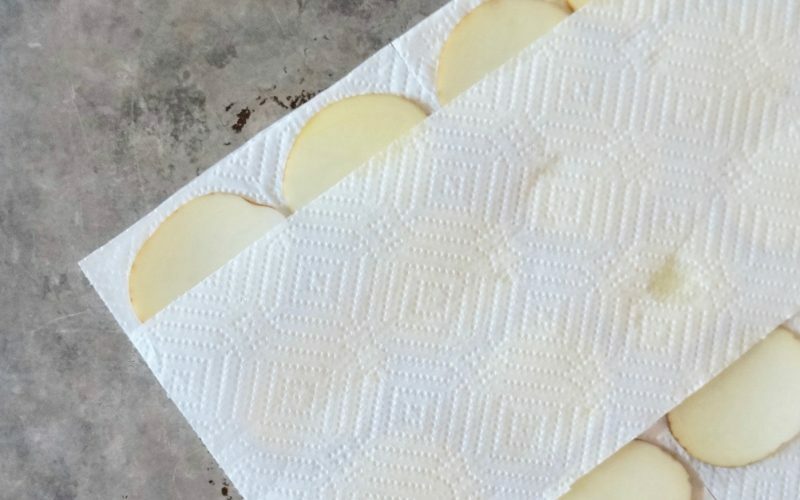 Remove the potatoes from the oil & place over paper towels. 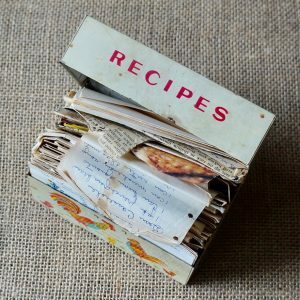 Gently blot with paper towels to remove excessive grease. Sprinkle liberally with kosher salt & freshly ground pepper. Preheat the oven to 300 degrees. 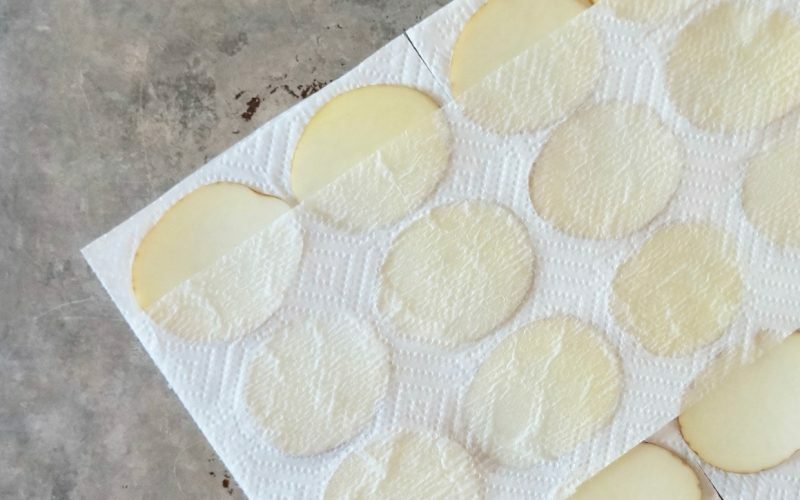 Transfer the chips to paper towel lined half sheet pans, placing them in a single layer. Bake the pans 7 minutes. Remove from the oven & cool completely. Serve with Chipotle Aioli or Homemade Ketchup, if desired. 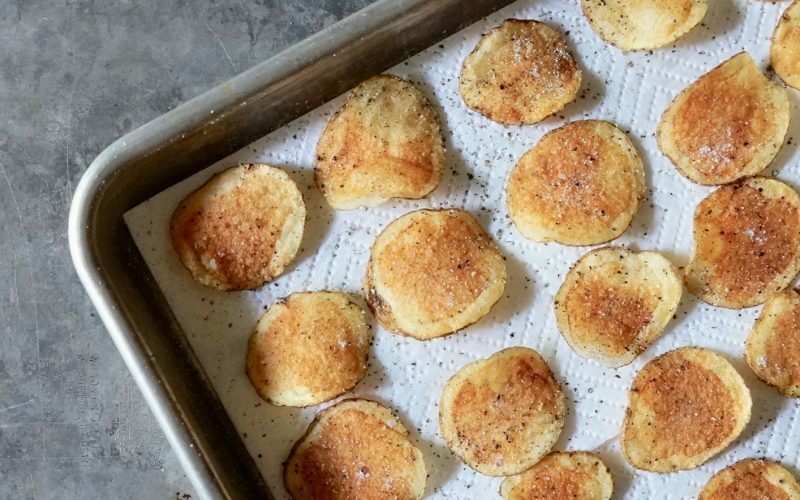 Blotting the potato slices dry before frying & placing them in the oven briefly are additional ways to ensure a crisp batch of Salt & Pepper Potato Chips. Fry them up to a day in advance & briefly pop the pan back into the oven 300 degrees for 5 to 6 minutes to warm just before serving. 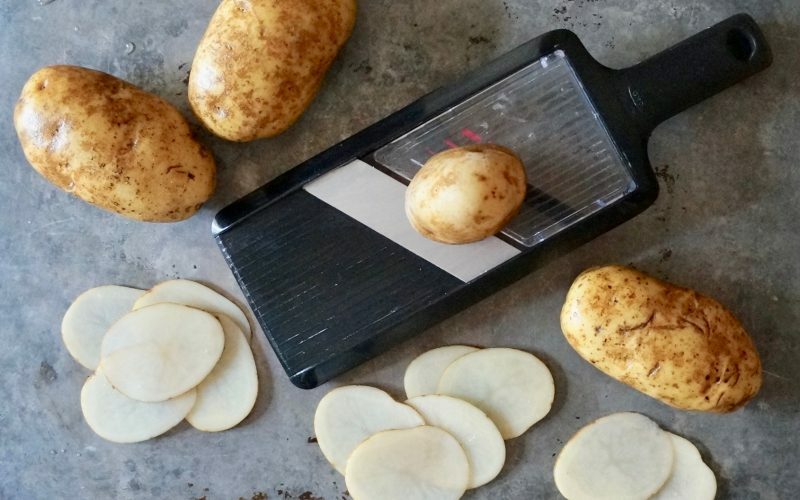 Slice the potatoes to an even 1/8-inch thickness using a mandoline. 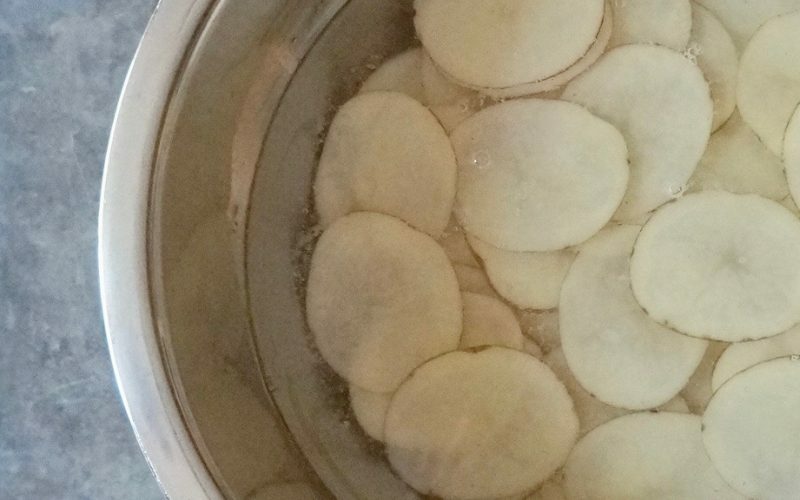 Place the potato slices in a Medium bowl filled halfway with water while prepping them. Sprinkle 4 tablespoons of salt over the potatoes & stir the mixture well being certain they are submerged. Chill 2 hours. Drain the potato slices & rinse under cool water. Fill a clean bowl with water, add the potatoes then drain again. Place the slices over paper towels. Remove the excess moisture by topping with additional paper towels. 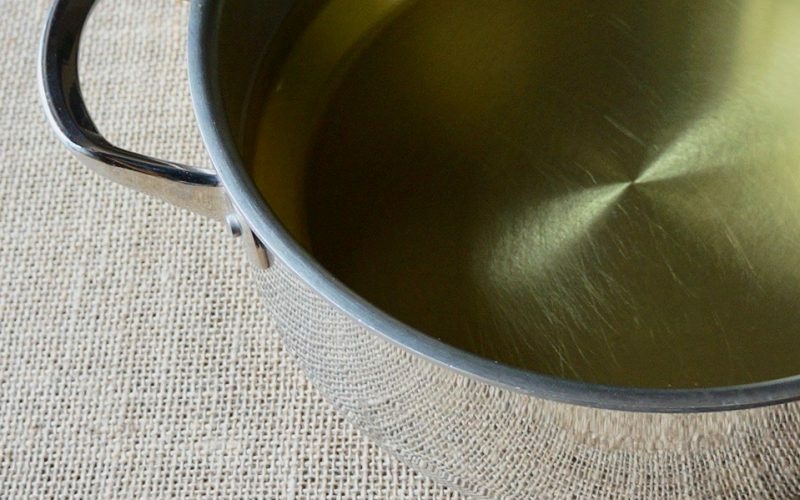 Pour the oil to a depth of 1 inch in a 3 1/2 quart sauce pan & heat to 350 degrees. Drop the potatoes into the oil, in batches, being certain not to overcrowd the pan & tousle the potatoes during frying with a spider so they cook evenly. Cook 2 to 3 minutes or until evenly golden brown. Remove the potatoes from the oil & place over paper towels. Gently blot with paper towels to remove excessive grease. Sprinkle liberally with kosher salt & freshly ground pepper.